The specter of robots taking well-paying manufacturing jobs from humans has long triggered a hostile reaction toward the steady march of automation in industry. There is no denying that robots have revolutionized industries such as auto manufacturing, and that jobs have been lost as a consequence. But is it all bad news? Will robots eventually make welders obsolete? 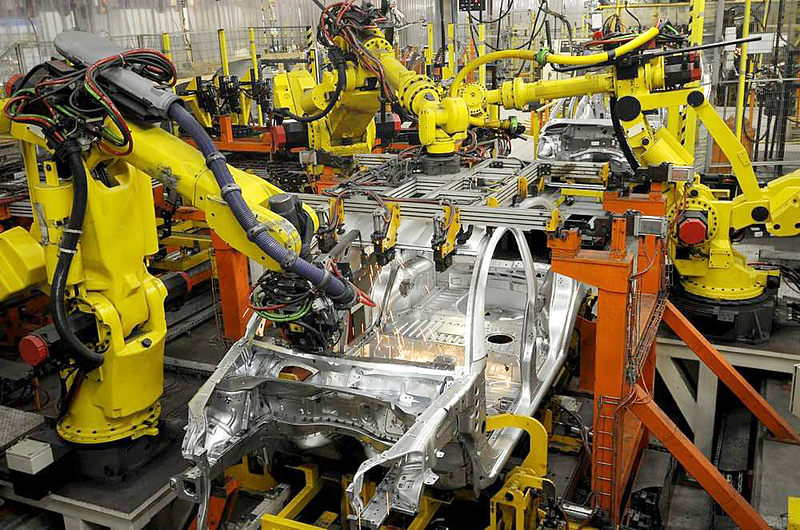 This week at American Welding Online, we look at some of the predominant myths about robots and their role in industry. Robots have long tortured the human imagination. 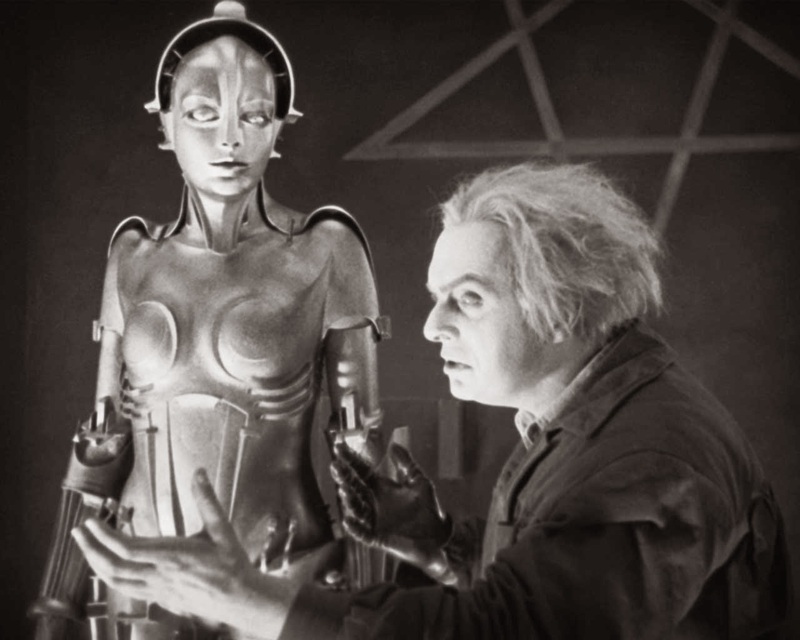 In Fritz Lang’s 1927 sci-fi epic, Metropolis, the robot Maria and her creator Rotwang suffer the consequences of forgetting our essential selves and relying on slaves and industrial technology to create a new world. Robotic welding and automated operations are being used as a supplement, not a replacement, for the workforce. As the skills gap worsens, companies are relying on robots to fill holes in the workforce for which these companies can’t find humans with the necessary skills. Automated welding can be expensive, but the cost is usually justified by better labor rates, increased productivity, increased volume, less variability and reduced costs in filler metal and training. Moreover, the actual cost of automated welding equipment has decreased over the years. Automated welding has actually come a long way, and is much easier to learn than it once was. Workers with limited welding experience can be quickly trained to operate robotic welding cells, because a significant amount of the skill required for manual welding is handled by the robot. 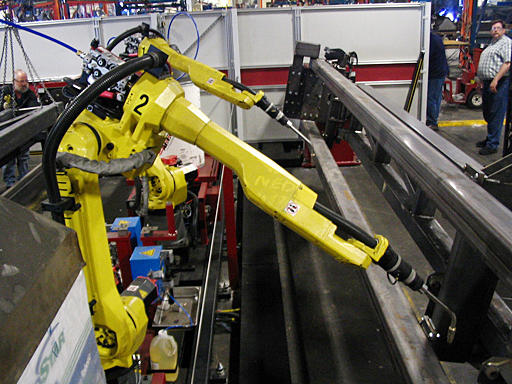 A set of six-axis robots used for welding. Over the years, the programming of robotic welders has become much more flexible. Finely tuned digital communication between the robots components has made it possible to create automated systems that are economically justifiable and productive for manufacturing operations of almost any size. There are a number of reengineered and customizable robotic cells that can be easily incorporated into your production line. You just need to find the right option for you. The only real limit on integrating automation is cleaning up your current process. You’ll need to eliminate any problems with parts variation and fitup, and the joints that the robot will weld should be easily reached by the robot’s arm. Besides these issues, however, automation is surprisingly easy to add to your production line. Welding robots are a great way to improve production efficiency if your business can allow for it, but that doesn’t mean every task should be automated. Outdoor manufacturing operations, welds that robots simply can’t reach, and space constrained welds are just some of the tasks that emphasize the continued importance of semiautomatic and manual welding processes. Robot welding is commonly used for resistance spot welding and arc welding in high production applications, such as the automotive industry. Despite our oscillating anxiety over an impending technological tyranny and our hopes for a world saved by science, it’s plain to see that automation is neither a malicious force come to rob welders of their livelihood, nor a cure-all for manufacturing production problems. It’s a tool, like any other equipment or process on the shop floor. If you’d like to read more about robotic welding, check out Dispelling Automation Myths by Deanna Postlethwaite in the June issue of the Welding Journal, free with your AWS membership. Dispelling Automation Myths dissects the questions covered here in greater detail. For those that have already taken steps toward automation, in the same issue you’ll also find Tips for Robotic Welding Supervisors by Ryan Lizotte. As always, we invite you to explore American Welding Online, where you can find our blog, online courses, podcasts, and other resources designed to help you advance your career in the welding industry. I think it makes a lot of sense that robots are made affordable by the fact that you can increase productivity and quality. Those two factors would allow for a higher price on your product or be able to reposition workers to other roles where their skills will be better used. It would allow you to strengthen your company without losing anybody.